His philosophy is simple: it only takes a little longer to do it right. But it took 20 years of training and exposure to decking business to engrave that attitude upon his everyday approach to every project . After years of working for one of the tri-state areas top deck builders, he set out to start a company on his own set of standards. A well-designed and professionally built deck increases the value of your home while providing an enjoyable outdoor living space. A safe and attractive deck can add to the quality of life for a family by providing a place for relaxing and entertaining. So now you can have your own deck project done by a craftsman who knows how to do it right, and who wouldn't consider doing a job any other way. Decks by Ziec guarantees a peace of mind to every one of our customers .The solution is to build beautiful and safe structures with that European touch and always adding an extra step to leave our clients with a smile and total satisfaction for many years to come. It’s the details that make or break the appearance and longevity of an exterior deck. Like planing the deck frame to assure a uniform, smooth surface to lay the decking. Spectacular deck railing designs can make a huge difference in a deck's overall appearance, but it must be balanced with safety and minimally impacting the view. Peter will discuss the options with you, and recommend the right materials and woods, whether natural or composite. All designs and layouts are possible, and of course - always keeping within your project's overall budget. “They are the same methods I’d use on my own home,” he says. Customer service and satisfaction with the finished product is a priority. There aren’t any secrets to Peter Ziec’s methods. It isn’t his methods of work that are unique: they’re available to anyone. The difference is that he actually follows them, including the best construction methods developed by materials suppliers. Their techniques and design concepts are the points of departure he’ll use when working with you on your own design. Peter Ziec believes there are no shortcuts. And it shows on every job he has done throughout the suburbs of New Jersey and New York. 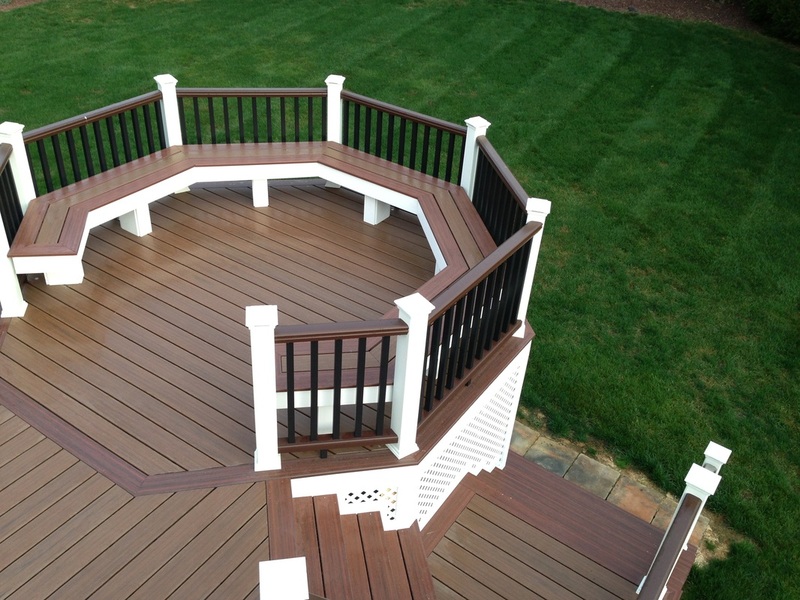 So if you are looking for custom deck builders in NJ or you just need deck repair, give him a call today, or use the contact form to schedule a no obligation consultation and see what it’s like to work with a craftsman who knows his job and still cares about doing it right. He’ll work out a plan that pleases you, and an arrangement for work and compensation that you will find fair and comfortable. © 2012 Decks By Ziec. All rights reserved.